The Old London range of classic concealed and exposed thermostatic shower valves brings substantial timeless elegance to the modern bathroom. 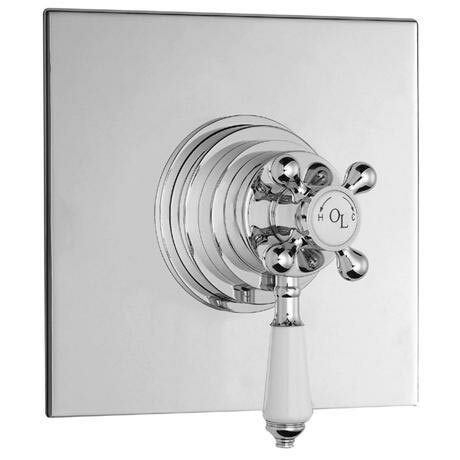 This Traditionally manufactured Shower valve will be a brilliant masterpiece for your bathroom. You will see the difference in quality, features, safety and reliability of this Traditional series from Old London. Using high quality chrome and brass, Old London shower valves will not only look outstanding in your new shower enclosure but will keep you and your family safe. Separate controls for temperature and flow. Operates one shower accessory - fixed head or slide rail kit.